New Spanish law 33/2014 has marked tougher penalties for Spanish citizens involved in illegal, unreported and unregulated (IUU) fishing anywhere in the world. As Europe’s largest fishing member state (followed by UK, France and Italy) Spain represents 20% of Europe’s fishing capacity and employs the most number of people in the fishing industry. This an important step for Spain to translate the EU’s 2010 IUU fishing regulation into legislation allowing authorities to act against Spanish citizens benefiting economically from illegal fishing even under ‘flags of convenience’ or owned or operated by shell companies in tax havens, anywhere in the world. The estimated value of illegally caught fish in the EU prior to their 2010 IUU regulations was approximately €1.1 billion. The 2010 regulation aims to keep the EU market clean of illegally caught fish by requiring “catch certificates” for seafood imports and exports. 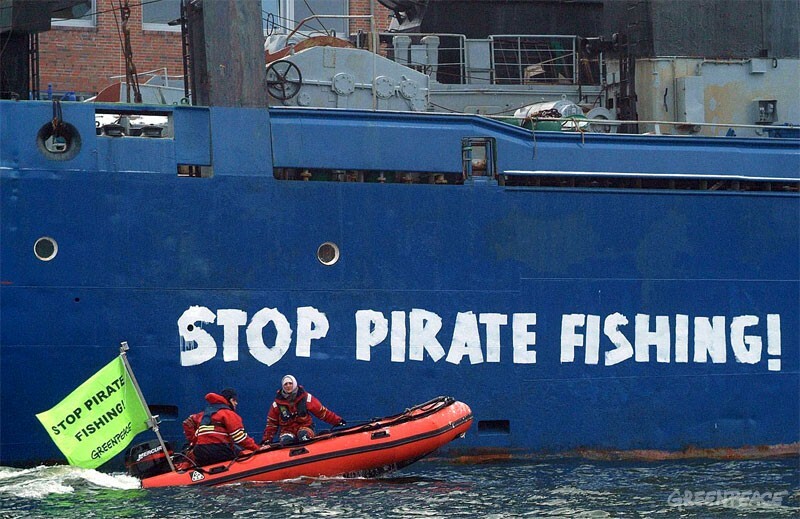 Recent reports of pirate fishing in the Southern Ocean off New Zealand have linked two of the vessels to a Spanish company in NorthWestern Spain – controversially receiving EU and Spanish fishing subsidies – the new law will allow authorities to take action against the company if proven. Welcomed by the Environmental Justice Foundation (EJF), WWF, Oceana and the Pew trust – NGOs working together to ensure effective implementation of the EU’s regulation to put an end to pirate fishing – they hope that Spain’s new law will encourage other member states to promptly follow and legislate the regulation to climb one step closer to clamping down on illegal fishing. “The introduction of this law reinforces Spain’s commitment to fight illegal fishing and those citizens benefiting from it. All EU member states should follow Spain’s lead and effectively implement this key element of the EU IUU regulation” Steve Trent, executive director of EJF. Globally, the numbers of illegal fish sold in a shop or restaurant is massive. US research group The Pew Charitable Trusts, estimates that one in five fish sold in a shop or served in a restaurant has been caught illegally: 26 million tons of fish a year, worth more than €20 billion. The new security law will also enable authorities to deport migrants arriving at Spain’s north African enclaves, Ceuta and Melilla – the only two land borders with Africa – to avoid illegal entry.